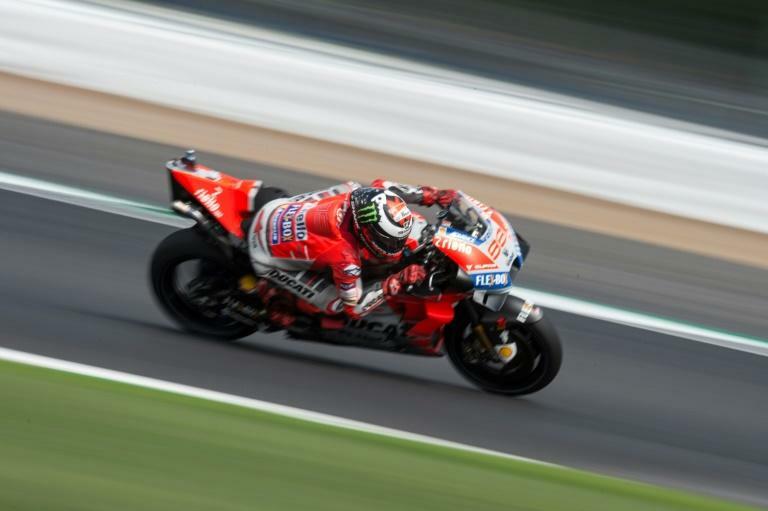 Jorge Lorenzo took pole position for the British Grand Prix at Silverstone on Saturday, edging out Ducati teammate Andrea Dovizioso as rain threatened to wreak havoc on the MotoGP race. Three-time top-class world champion Lorenzo pipped Dovizioso by 15 hundredths of a second, recording a lap time of two minutes 10.155 seconds. France's Johann Zarco completed the front row of the grid for Sunday's race. 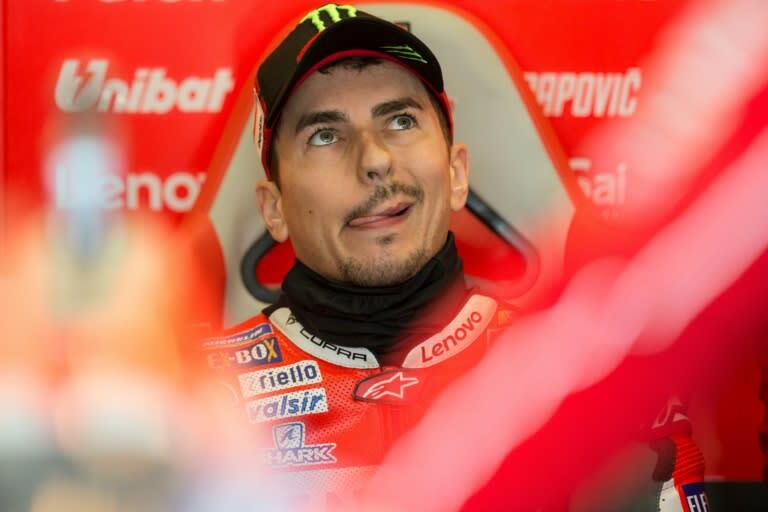 "If it's really wet tomorrow, I believe we will be competitive," said Lorenzo. "I'm feeling pretty good on my bike, even though I'm worried about the track conditions at Turn 7 should it rain a lot. "In any case we have to wait and prepare for a race that will surely be very tough." Championship leader Marc Marquez will start fifth, with Britain's Cal Crutchlow also ahead of him, but had the boost of seeing his nearest title challenger Valentino Rossi record the slowest time in the second qualifying session. The Italian will start from 12th on the grid. "It looks like tomorrow could be another tricky day, possibly with heavy rain, so it will be important to analyse the track conditions and try to stay up there," said Spain's Marquez, who leads Rossi by 59 points with eight races to go. "We also must consider that if the conditions are like what we had at the end of (the fourth practice session), we cannot race." The second qualifying session was delayed by an hour due to the wet conditions. The final practice session had earlier been red-flagged after a multi-rider accident that saw Reale Avintia's Tito Rabat taken to hospital with multiple fractures in his right leg. Race organisers were forced to alter the race schedule due to forecast torrential rain and unpredictable conditions. The MotoGP race will now take place at 1030 GMT rather than the originally scheduled time of 1200 GMT. "This is a decision that was not taken lightly but the risk to the chances of not running a MotoGP race at all if we had stuck to the original schedule was too great," said Silverstone managing director Stuart Pringle. "This was a difficult decision to make but, ultimately, there is nothing more important to all of us than rider safety. We hope MotoGP race fans who attended this weekend's event understand the difficult decision forced upon race organisers." Britain's Crutchlow is concerned about Sunday's weather forecast. "We need to concentrate on the race tomorrow and see what will happen but unfortunately it doesn't look great with regards to the weather," he said. "That's not great for us because I don't think we can ride with the amount of rain that they say is going to come tomorrow." Marquez leads the MotoGP standings on 201 points. Rossi has 142 points and Lorenzo is on 130. Italy's Francesco Bagnaia will start from pole for the Moto2 race, and Jorge Martin of Spain will start from pole in the Moto3 event.